Wow! There are some great giveaways all over blogland these days. 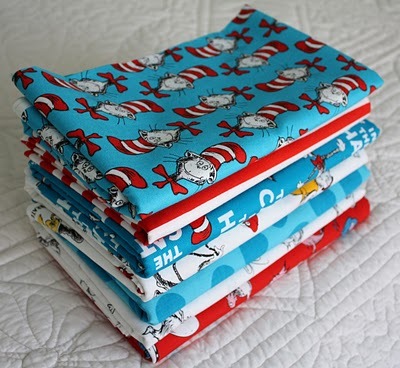 Dawn is having a great giveaway... 7 yards of Dr. Suess fabric!! I don't know about you, but I sure can find a child or two in my life to make a quilt for out of this fun fabric. To enter, head to her blog Dawn's Quilt Corner. Tell her I sent you! !